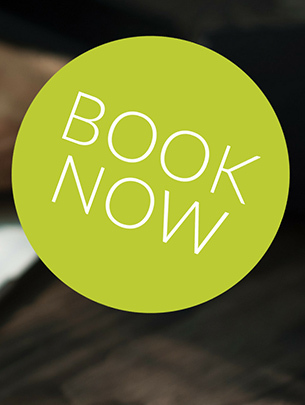 Are you considering implementing an online booking feature for your business? Whether you run a sports coaching business, building maintenance, car washing or babysitting service, you will want to provide your customers with the luxury of booking online. An online booking software allows people to autonomously book your services when convenient for them via your website, own branded mobile app or social media using their phone, tablet or laptop. It is important you make the process of booking your service as easy as possible to maximise your conversions. We put together some main features that you should look out for when choosing an online booking software. Real-time booking features give you the option to choose when and where your services are available, allowing customers to book when convenient for them. Once you have outlined when you are available, your customers can choose the time (and place) that best fits their needs – Win-win. Your customers will receive an automated confirmation of their booking so that you no longer need to answer phones or send back and forth emails when a simple click will do. Having a cloud-based booking system keeps your data safe and secure by storing all leads, bookings, invoices, and payments in one place, accessible by any device, anytime. The ability to manage your business from anywhere gives you more freedom to operate remotely. Guarantee you get paid. Let your customers pay online when they book or have your mobile field workers take payment on the job using the software. A system that allows multiple payment gateways such as PayPal and Stripe are the best way to go. Another thing to pay attention to is whether your customers are able to store their credit card information safely and securely on your platform. This way making a booking will be easier and faster for your customer and you will encourage your customers to book with you more often. Having a visual calendar makes planning ahead easier. Simply glance your calendar and you’re up to date. An auto-updated calendar leads to fewer misunderstandings between your office, field workers, and customers. You won’t need to go back and forth with your colleagues to match calendars. Especially if you operate across time zones and internationally, it is important that your booking system is able to detect the time zone of your customers and workers. You should also be able to set your preferred language and currency. It is important that the service you choose offers support when you need it. Being able to quickly shoot an email or chat in real-time with a team member from the service provider minimizes headaches and time spent trying to solve an issue. You should be able to add high-resolution images to let your customers visualize the experience when booking your service. Including images of your team members adds character and reliability to your business as well as further personalizes the booking experience for your customers – something that could easily be the way to stand out from your competitors. Although it might sound simple, your ‘Book Now’ button plays a very important role and being able to pick its position, style & color is crucial. The button should be easily found, big enough to catch the customers attention and entail a catchy call-to-action, for example, ‘Reserve Your Seat’ or ‘Book Now!’. You can even place it in more than one place. Catch your customers where they are, in social media. By integrating your booking calendar with your social media accounts, you can attract a bigger audience and allow customers to make bookings without leaving the site they’re on. Having a good online booking software will allow your customers to book your services easier with one click, automate the process so that your workers can accept jobs without you having to micromanage everything, as well as save you time to focus on innovation and growing your business.